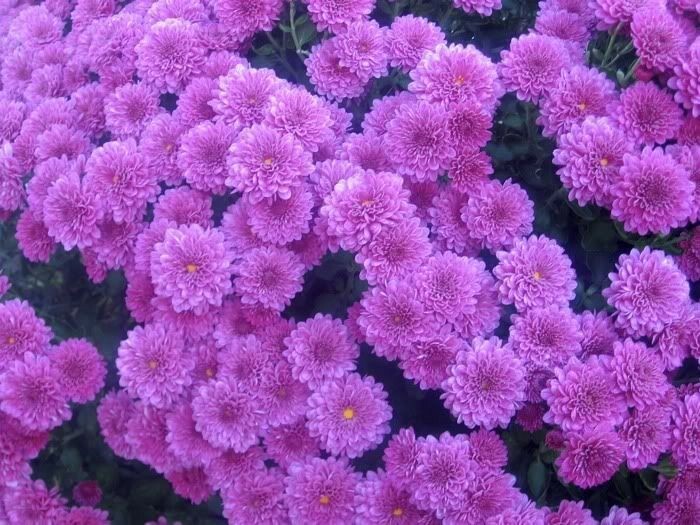 Mums are cold season flowering plants. 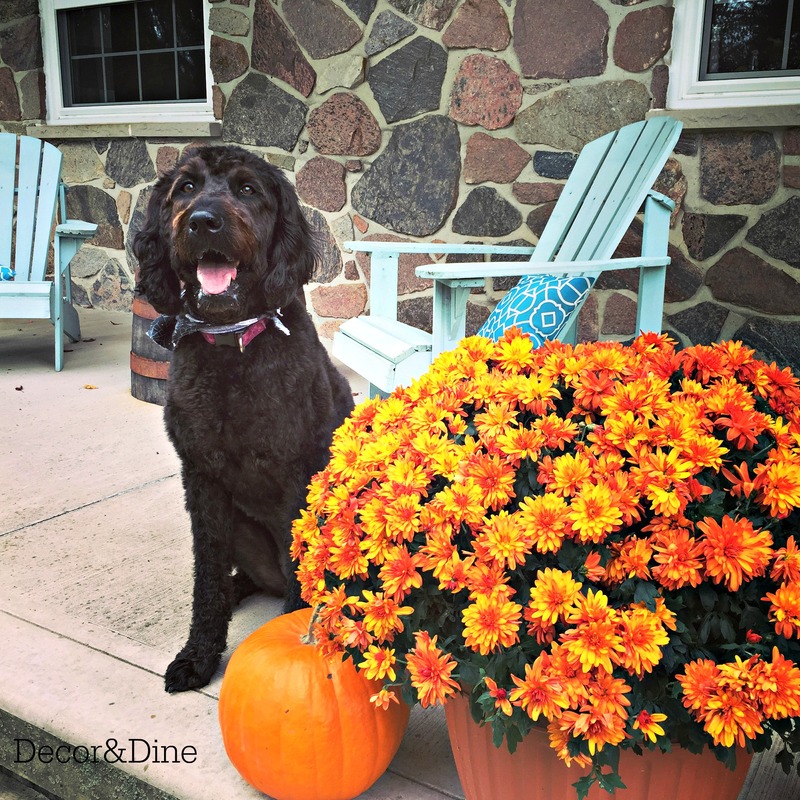 Whether you plant them in your garden or buy potted mums, they will brighten your fall scenery. Fall mums come in an array of autumnal colours like burgundy, purple, golden yellow, bronze, and butterscotch (photo credit). 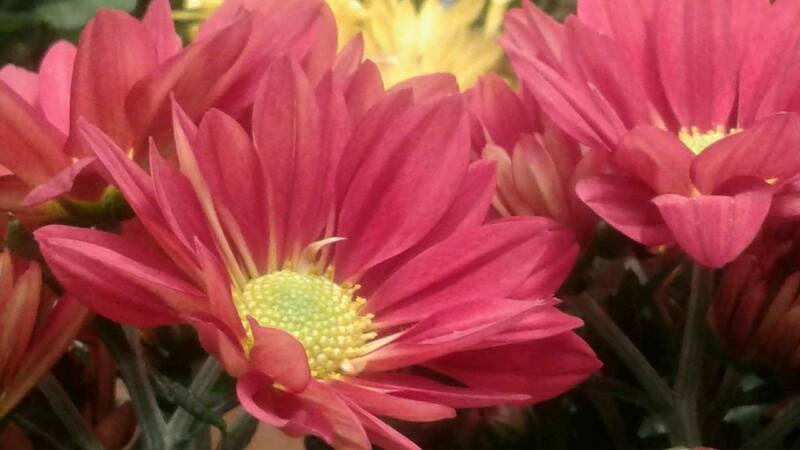 Mums also come in 3 bloom forms … decorative, pompon, and single or daisy. Decorative Mums have long, tightly overlapping petals. Pompon Mums have small, globe-shape flowers that are petal-packed. (Photo credit). 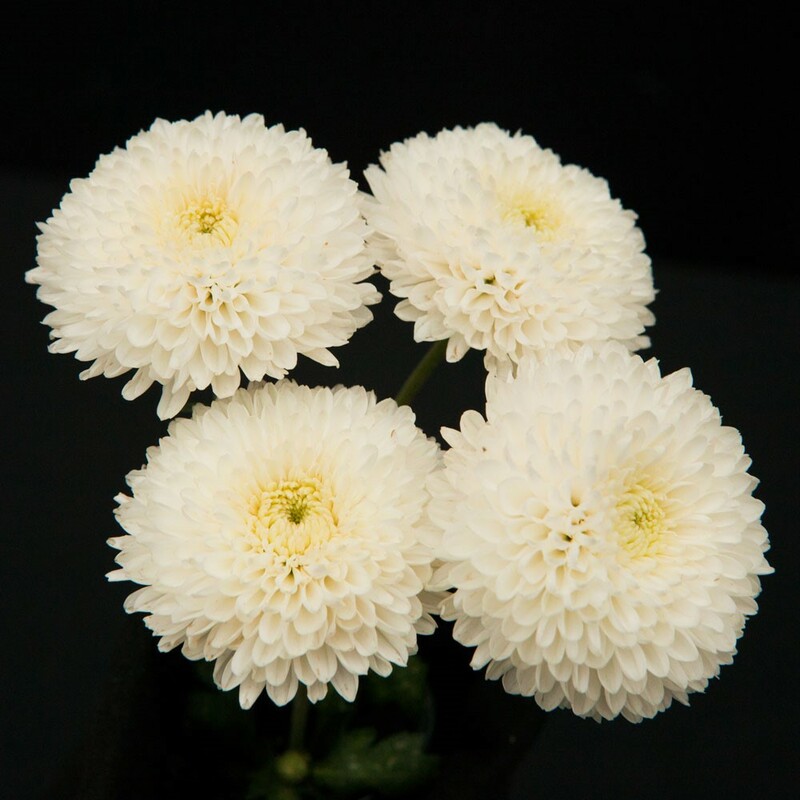 Daisy Mums have long petals around a raised centre of tiny disk florets. 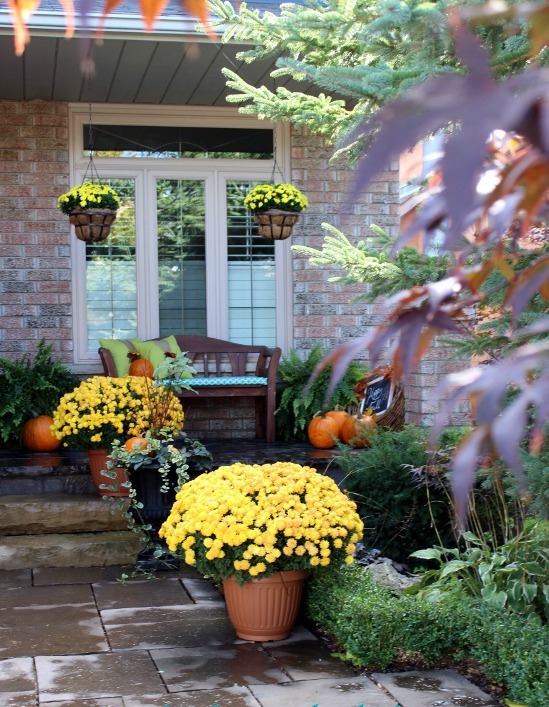 For long-lasting decoration ideas, place a big pot of mums on one or both sides of your front door. Or along your front steps with hanging pots. 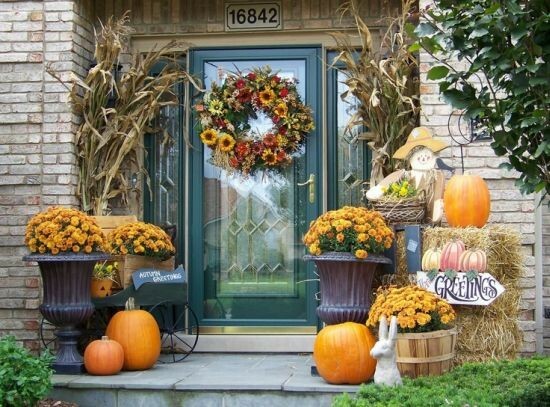 To decorate the Halloween festive season, arrange mums with pumpkins, gourds, dried corn stalks and hay bales. 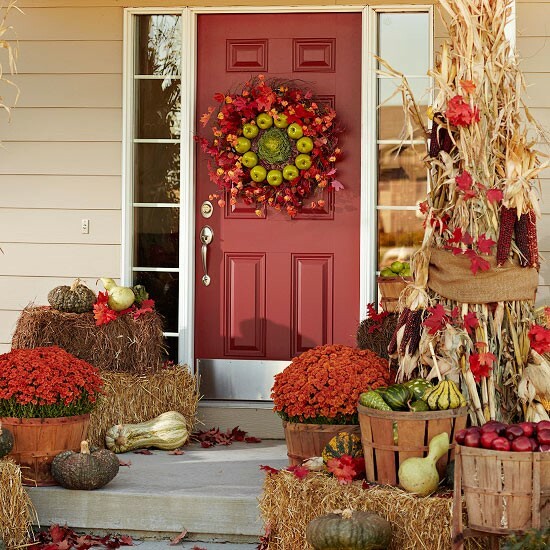 For other inspiring fall porch DIY projects visit Fall Porch, Fall Porch at the Farm, and Fall Porch Decorating Ideas.